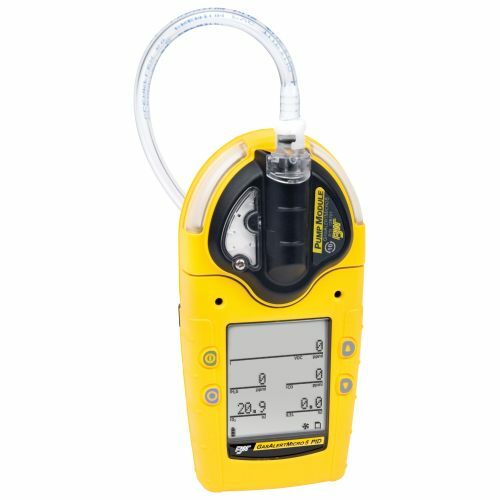 The compact, lightweight BW Technologies GasAlertMicro 5 gas detectors are available as diffusion or pumped instruments. 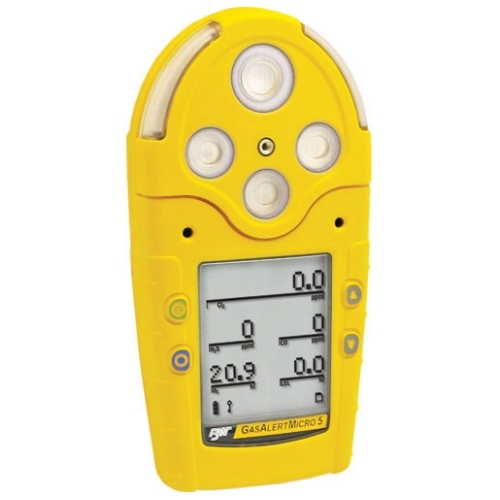 These portable gas detectors simultaneously monitor and display up to five potential atmospheric hazards. The GasAlertMicro 5 PID (photo ionisation detector) model also identifies PID detectable VOCs (volatile organic compounds), while the GasAlertMicro 5 IR uses a NDIR (non-dispersive infrared) sensor to monitor carbon dioxide (CO2) levels. Adaptable to a variety of applications, BW GasAlertMicro 5 gas detectors have an extensive selection of user-settable field options. Use the passcode function to prevent unauthorised modifications of the instrument's settings. Compatible with BW's MicroDock II automatic test and calibration system, GasAlertMicro 5 gas detectors are unparalleled in their versatility, performance and overall value. The following table details a sample of the range of instruments available, please contact JMW for further details.